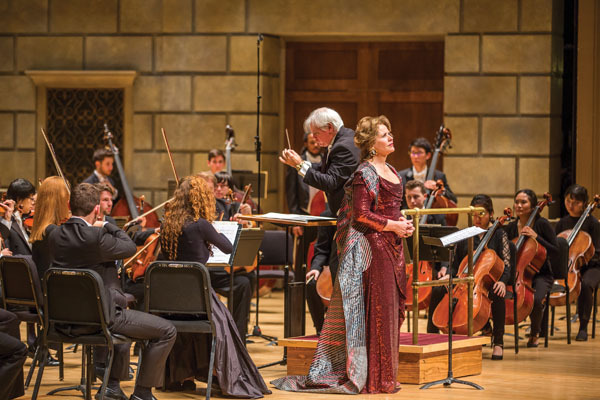 (Photo: Dave Jones/Empire West Photo for the Eastman School of Music) More . 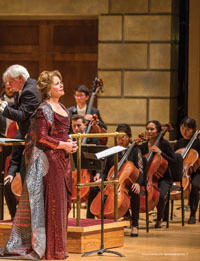 . .
Renée Fleming 83E (MM) took the stage with a song cycle about Georgia OKeeffe by Kevin Puts 94E, 99E (DMA). Looking back at the River Campus groundbreaking. Representing the lives of women, in dance. Rochester team’s discovery of ancient bird species adds to understanding of climate. Wendi Heinzelman, the first woman to serve as dean of the Hajim School, sees engineering as a quest to improve the world. An illustration, of sorts, by the president of the Women in Computing Club. Critic Douglas Crimp offers a snapshot of the art and culture of mid-century New York City. The power of supernormals, video-game brain training, and other research news. Renowned curator John Hanhardt ’67 will lead an effort to build a collection featuring the aesthetics of film, video, and other technologies. Did Shirley Jackson ‘Haunt’ the University’s Halls? Rochester reports global growth, cardiologists offer the smallest pacemaker, and other news from campus. Members of Rochester’s first national championship teams remember the chemistry that took them to the national title—twice.